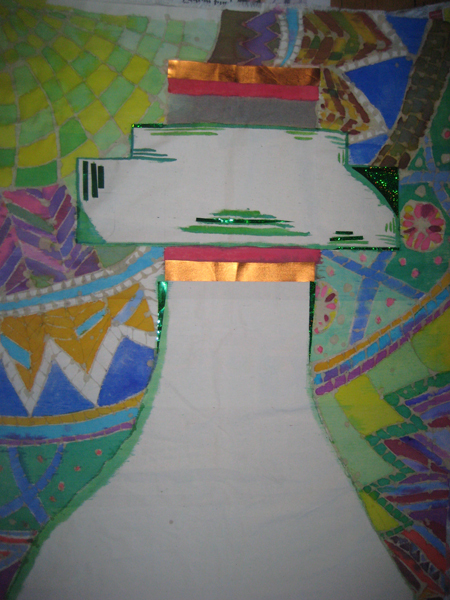 I have extensive experience of running art workshops and I am able to teach numerous arts and crafts practices from life drawing and printing to 3-D techniques. 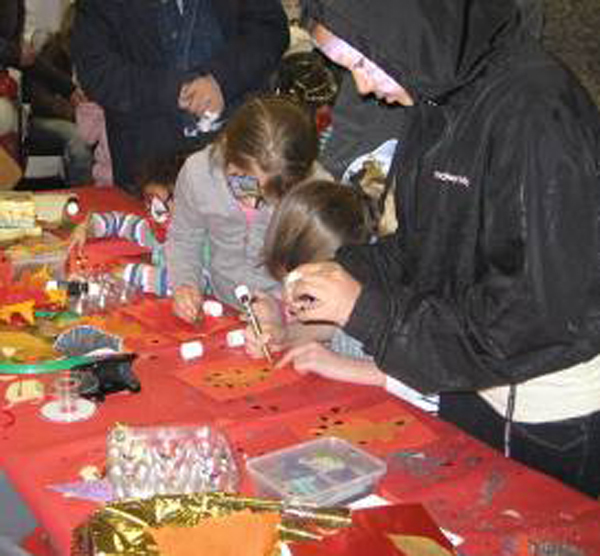 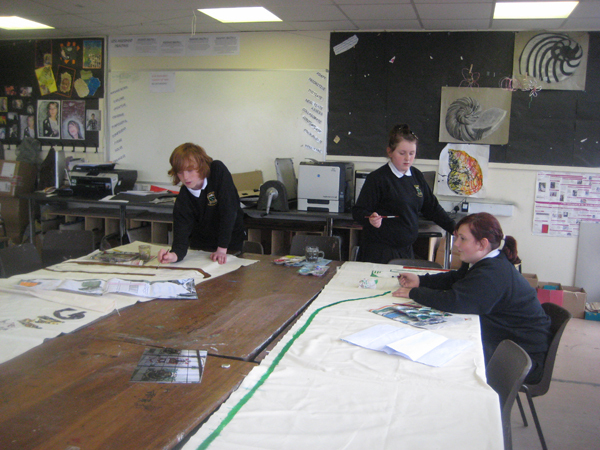 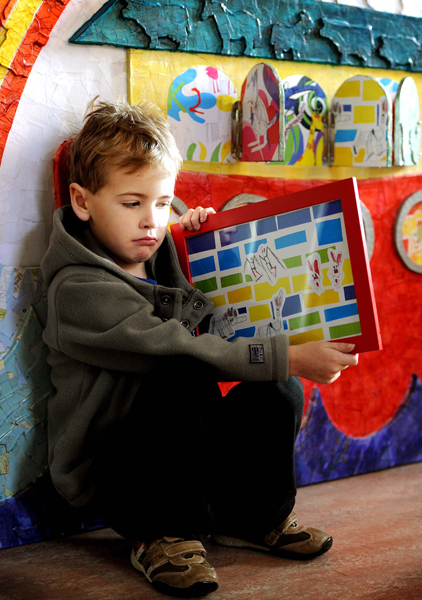 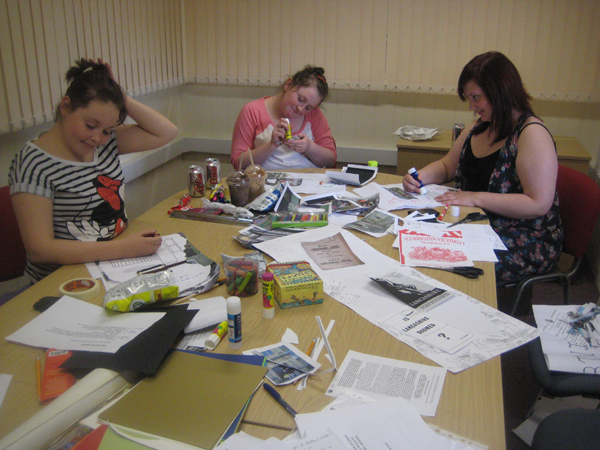 I enjoy working with all sorts of people, facilitating a rewarding art experience. 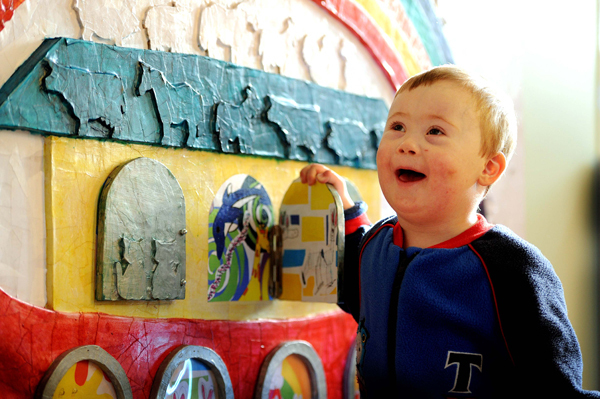 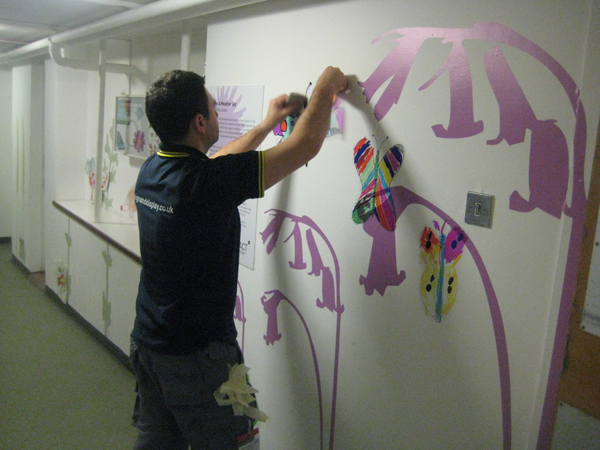 With patients created an interactive Noah’s Ark wall piece for K2 ward. 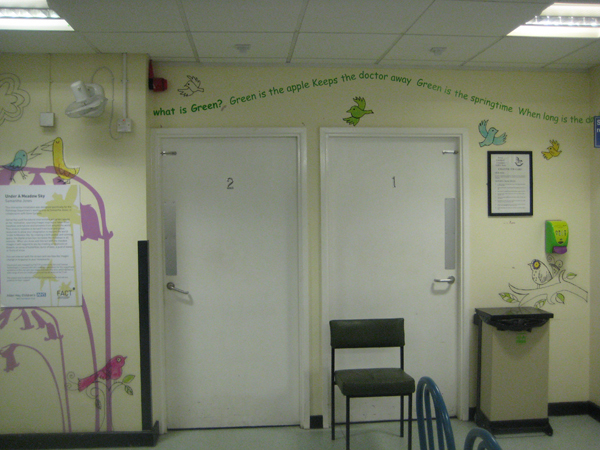 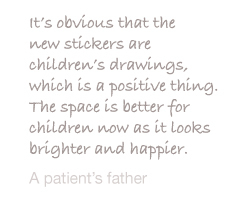 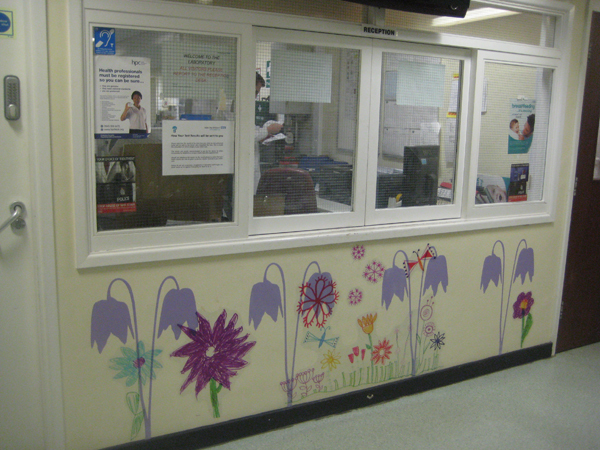 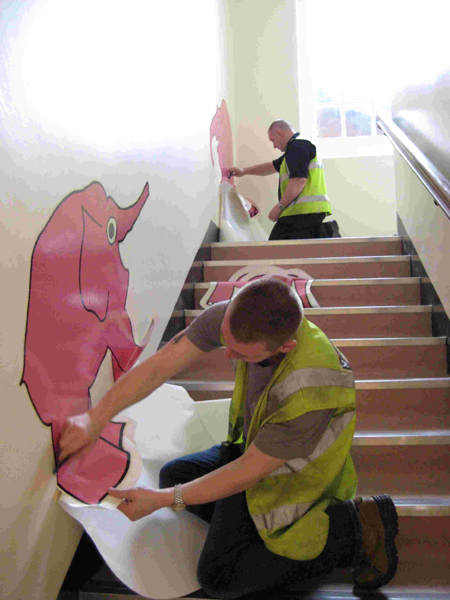 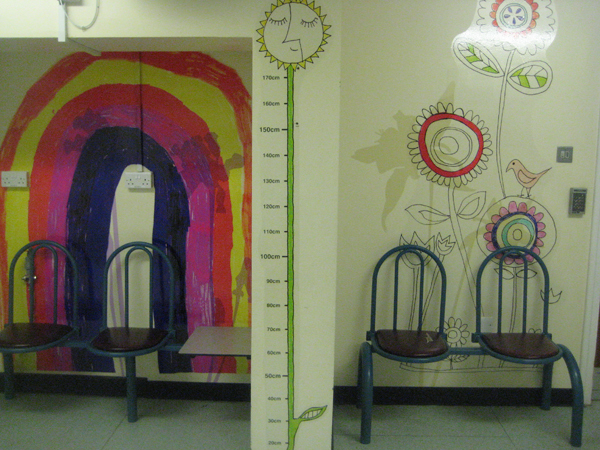 Working with patients throughout the hospital, to create artwork that evolved into giant vinyl stickers to transform and colour code the stairwells. 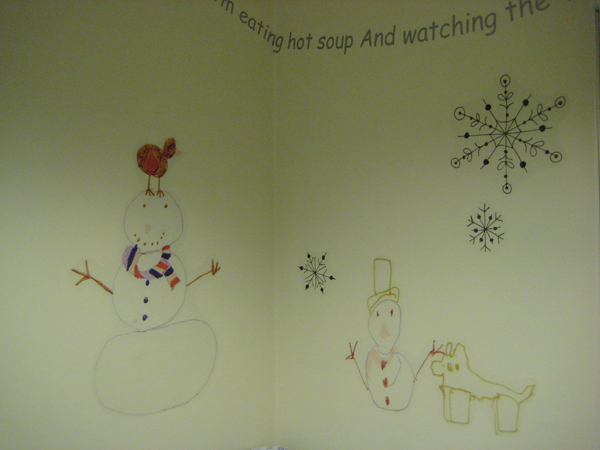 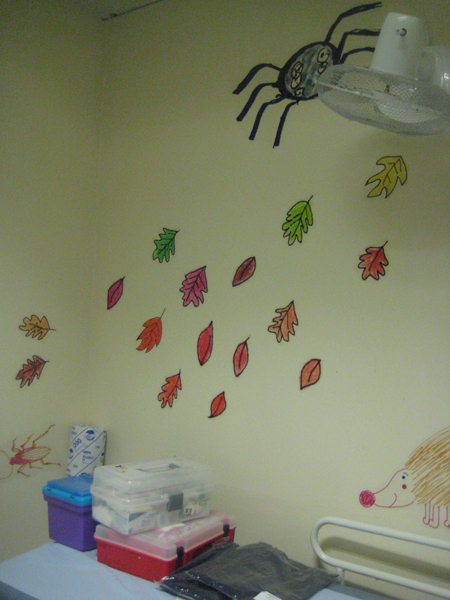 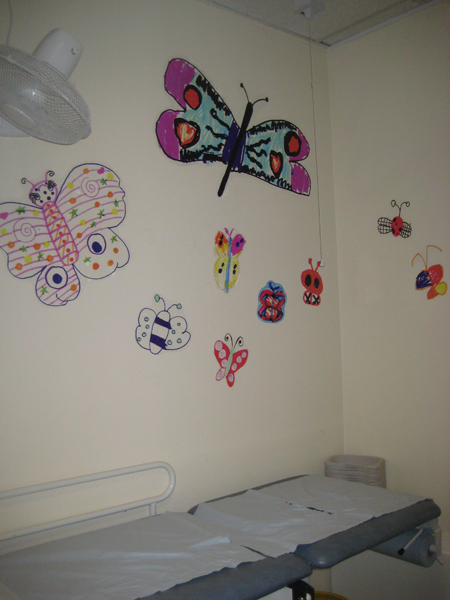 Designing with patients, artwork on a seasonal theme to enliven the bloods waiting area. 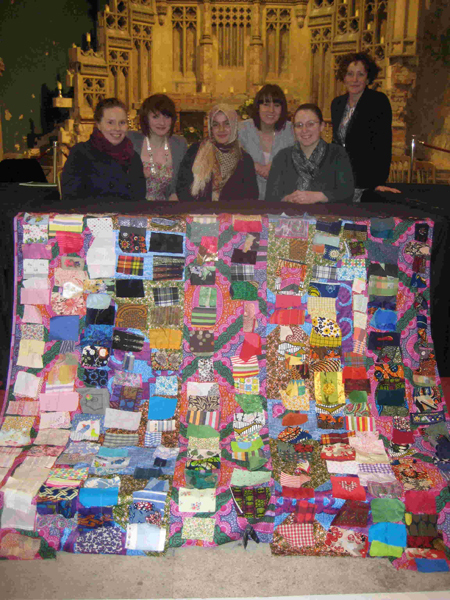 With 300 delegates at a celebration of International Women’s Day in Manchester in 2010 created a quilt. 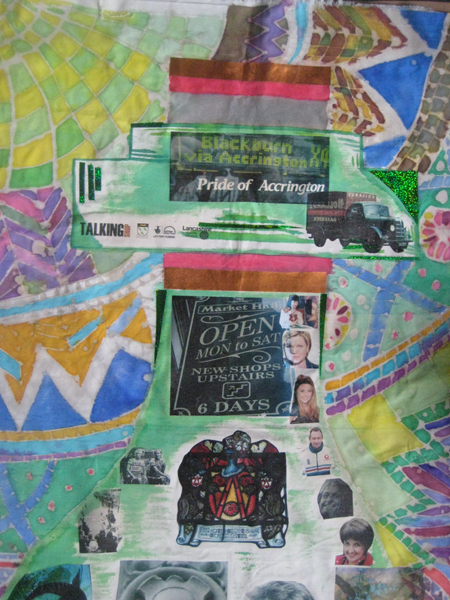 All the delegates brought a scrap of fabric with them that was part of their personal history and all these pieces were then sewn into the quilt. 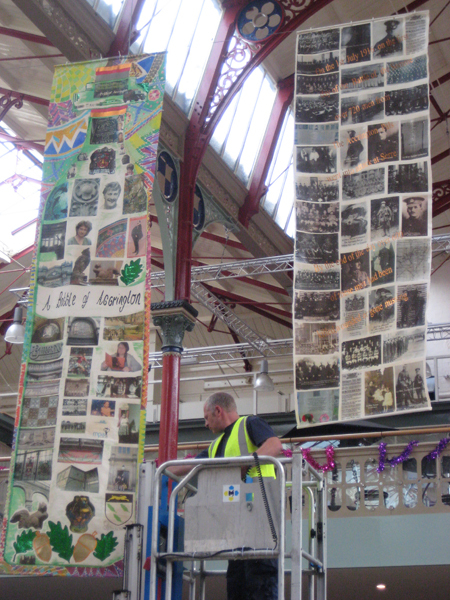 The quilt was then displayed as part of the 100th anniversary of IWD at The People’s History Museum in Manchester in 2011. 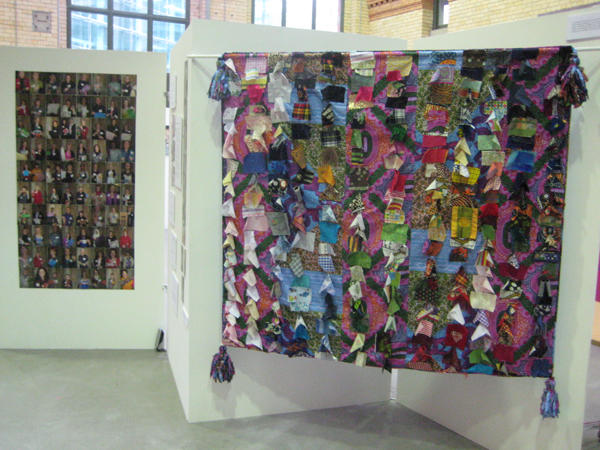 In 2012 the MIWD quilt will be on display at the Quilt Museum in York. 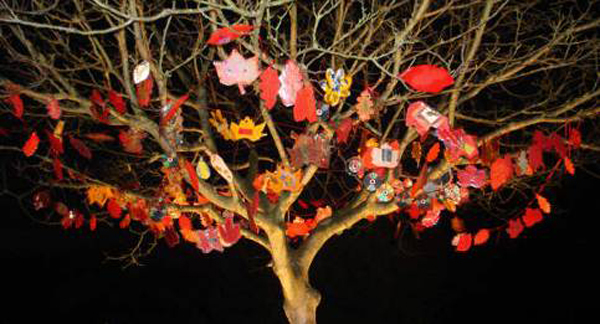 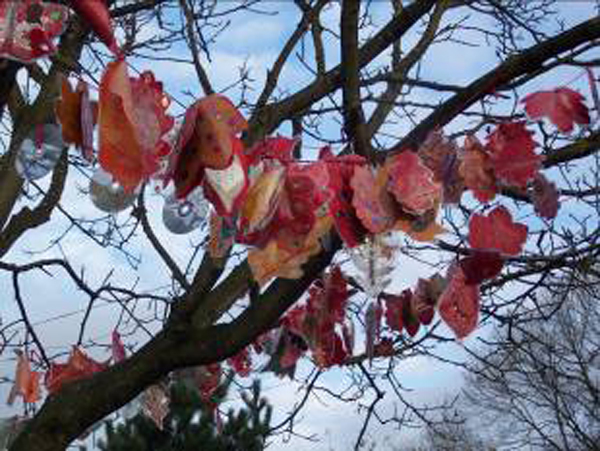 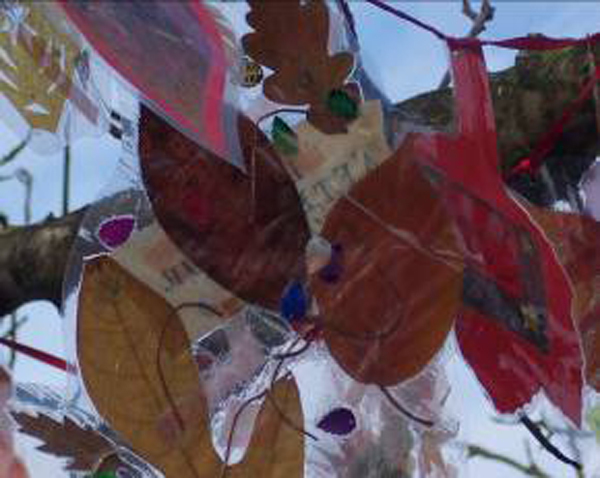 As part of a festive celebration seasonal clooties; good luck messages, were created in the shape of leaves and hung onto a Christmas tree in Platt Fields Park, Manchester. 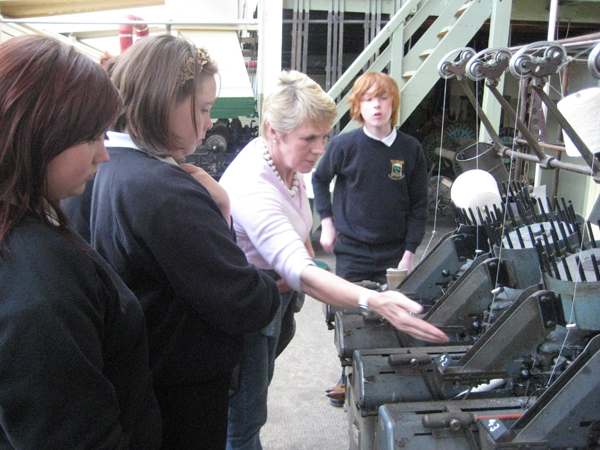 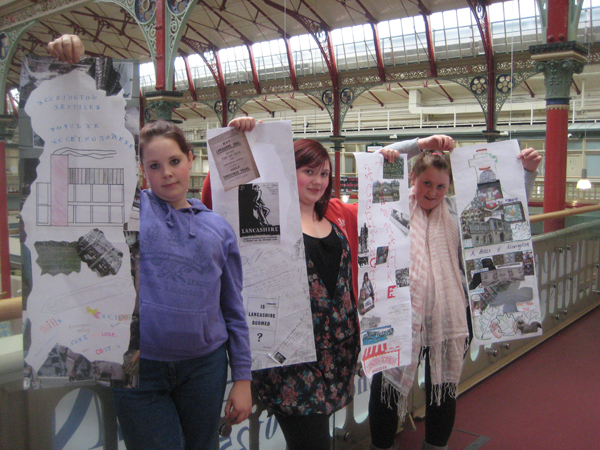 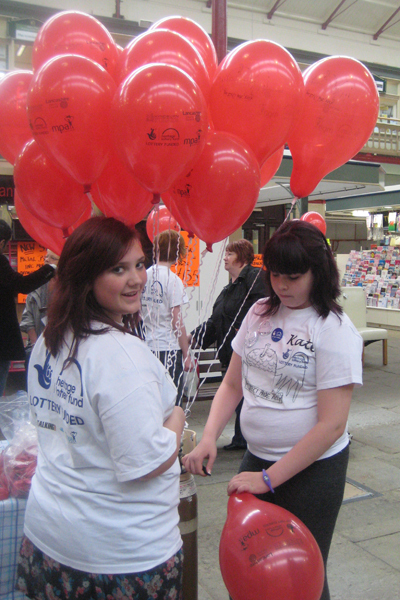 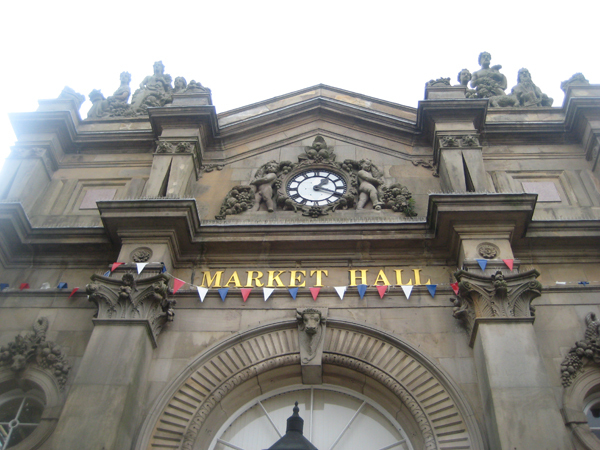 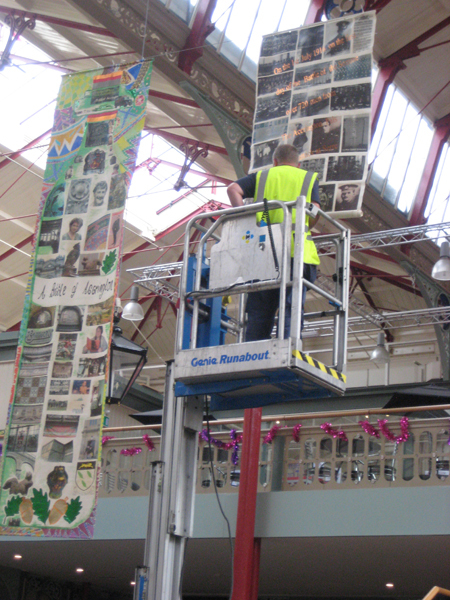 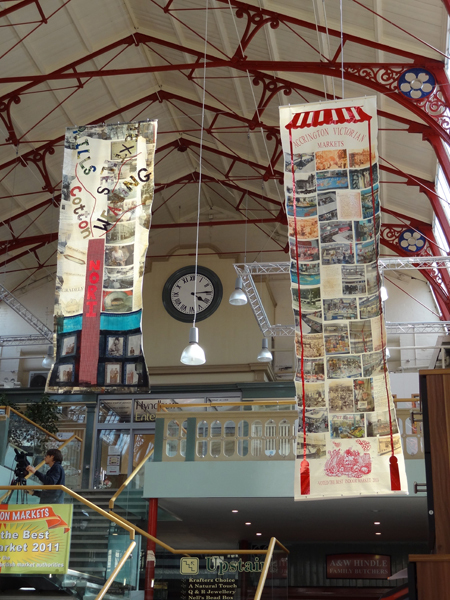 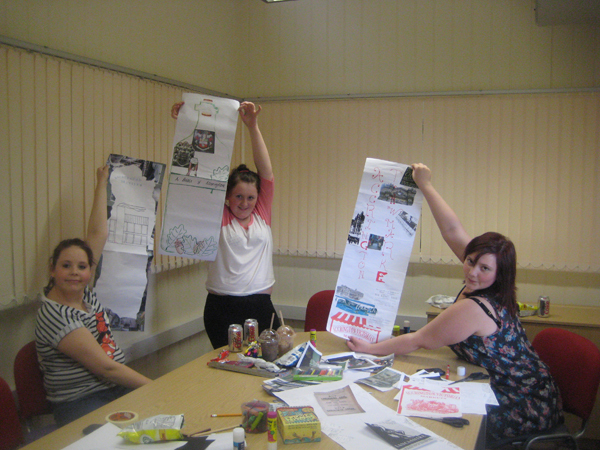 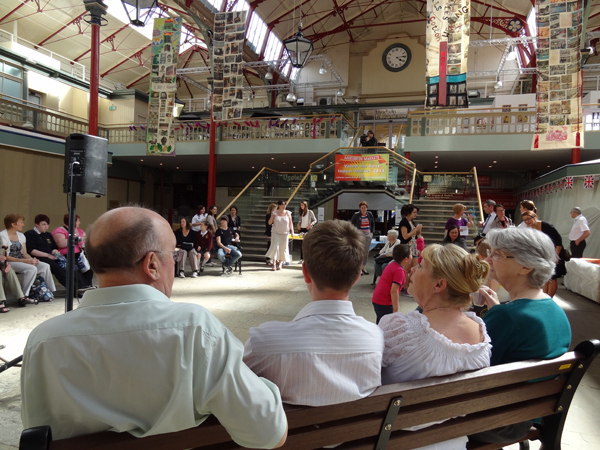 Working with local secondary schoolchildren, created four textile banners for The Market Hall, celebrating the people and heritage of Accrington. 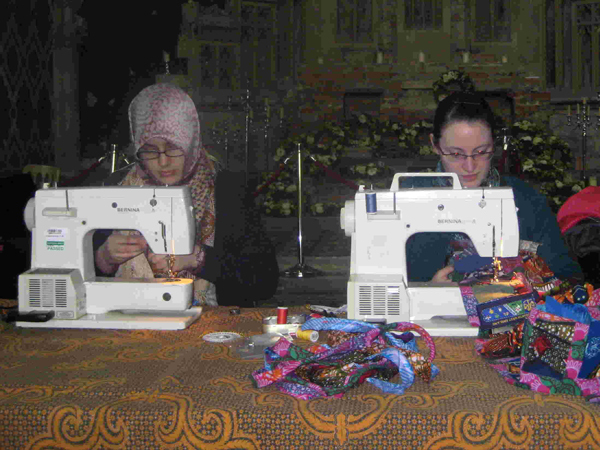 To read more about this project, please look at the blog.